It’s hard to believe but we’re already a third of the way into the Super Rugby regular season, and as we enter the middle phase of the competition, it’s a time when teams want to find a settled rhythm and put together some consistent performances and victories. Teams know that they’ve got to get themselves into contention now and not get into a position where a record winning streak is required to make the Finals. 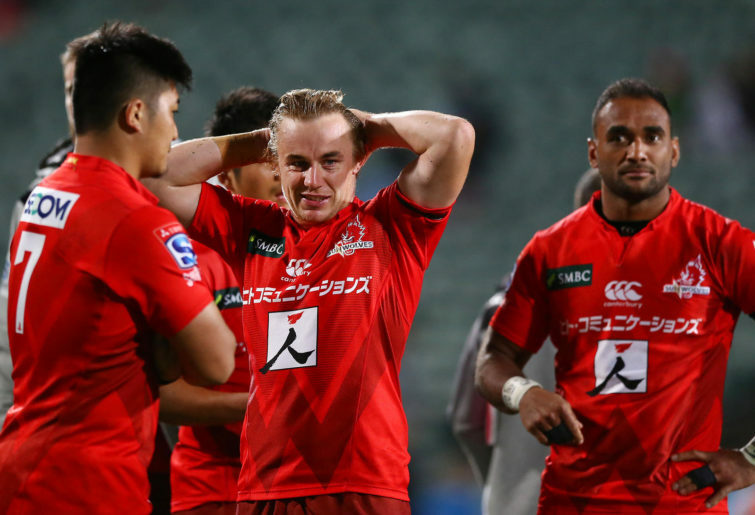 Of course, off the field this week, there was also the big news that more restructuring and culling is on the horizon and the Sunwolves are going to be leaving the comp altogether – the fourth axed club in just a handful of years. So not surprisingly, there’s a lot to talk about. Death, taxes and restarts – the three certainties in life! Given how common a part of the game restarts are, you really would think that teams would be better drilled at them. In fact, not only are they a certainty, but they are a real opportunity or moment of threat that needs to be executed well. Over and over you see teams kicking off with restarts that do not put any pressure at all on the defence. It’s not that they kick deliberately long to try and pin the opposition back – it’s a sort of halfway-house kick that’s too deep for the chasers and not deep enough to cause any issues for the defence. Equally there are so many teams that really struggle with their exits. Time and again you see them getting themselves into trouble as they try and get out of their half after receiving a kick. The Highlanders showed a simple but effective approach – as soon as they caught the ball they would kick it back at the very first opportunity. Some teams have shown that if you kick well and give your chasers a genuine chance to get under it, then it can cause havoc in defence and create a real opportunity to get the ball back deep inside the opposition’s half. The restart is almost the third set piece and it is surprising that so many teams are not taking full advantage of them. For all the talk about Super Rugby as a festival of ball-in-hand attacking rugby, kicking has never been a more important part of the game. Whether in defence or attack, being able to kick out of hand well is absolutely crucial. It gains territory, helps build pressure, helps relieve pressure and creates genuine points scoring opportunities. So how come there are so many examples of poor kicking game after game, week after week? There aren’t many players at the moment who are able to use the boot as a consistent weapon, and the number of ‘out on the full’ kicks or kicks that are just so wayward that they don’t achieve anything is alarming. Teams could significantly improve their performances through a ten per cent improvement in their kicking (and chasing) game. And with the international game relying so heavily upon it, there are players who could really stick their hands up for the World Cup if they can show that they know how to use their boot cleverly. 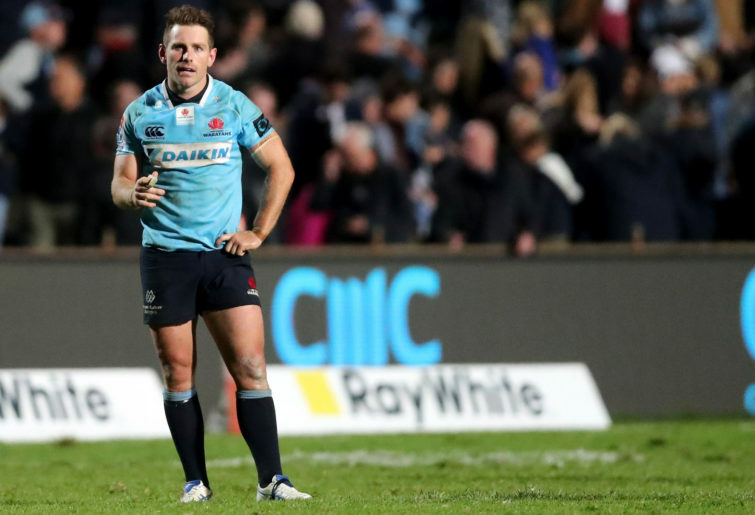 To beat the Crusaders at any point is impressive and even though the Super Rugby champions were without four key players when they ran out onto the SCG pitch, the Tahs’ win should be applauded. The Tahs showed last year when they tore the Crusaders to pieces in New Zealand that they have the attacking ability to make even the best look very average. But the big difference this year was that the Tahs were able to bring real patience and strong defence to their game plan and that helped them pick up the win this year compared to the narrow defeat from last year. The Tahs were so much better this week and excitingly for their fans it was their defence and control that really helped them put the Crusaders under pressure. They didn’t try and use an all out attacking mentality where they backed themselves to score one more try than the Kiwis no matter how many they themselves conceded. They were well organised in their structures and effective in the front up tackling. Add to that the improved kicking from Bernard Foley and the Crusaders found themselves under real pressure, having to come from deep time after time and finding a solid blue wall. There are those who believe that defence wins titles and the Tahs showed this round that they might have the defence needed to add to their attacking ability. Is the competition more competitive or are teams just more inconsistent? Another round and some impressive performances including the Reds beating the Brumbies comfortably, the Chiefs destroying the Bulls, the Tahs knocking off the Crusaders and the Blues beating the Highlanders. All good wins where lower-ranked sides beat teams above them. Now that certainly makes for a more intriguing competition but it sure does ruin your tipping scores! But the question is: are these ups and downs due to the teams being more evenly matched and competitive, or are teams just really, really inconsistent? It’s been a bit of a topsy-turvy start to the season with teams putting in fantastic performances one week and then dropping off incredibly the next. What’s causing this? Is it just typical for the early stages of the season as teams settle in to structures and partnerships and find their rhythm? Or is it something else? Hunt vs Kerevi or Hunt and Kerevi? One of the big questions facing Michael Cheika at the moment is who is going to make up his first-choice centre partnership for the World Cup. On the one hand he’s got a lot of options there, however no one has really been able to create that dynamite pairing over the past few seasons to have themselves as first names on the team sheet. Kurtley Beale is an obvious first choice for the No.12 shirt although you have to say that he does have a tendency to run across the field and really cramp the rest of the attack. With Beale starting so often at inside centre, is the discussion all about how wears the No.13 jersey? Samu Kerevi adds a great power game at No.13 and has been playing well for the Reds showing great leadership in a young team. However Karmichael Hunt has thrown his hat into the ring recently and shown that he could be the missing piece in the Wallabies midfield. There are of course other options too and it’s a real shame that Jordan Petaia is out with a serious injury as he could be a real bolter. One thought that is gaining traction is to have Hunt and Kerevi play in the centres, move Beale to full back and have Israel Folau on the wing. 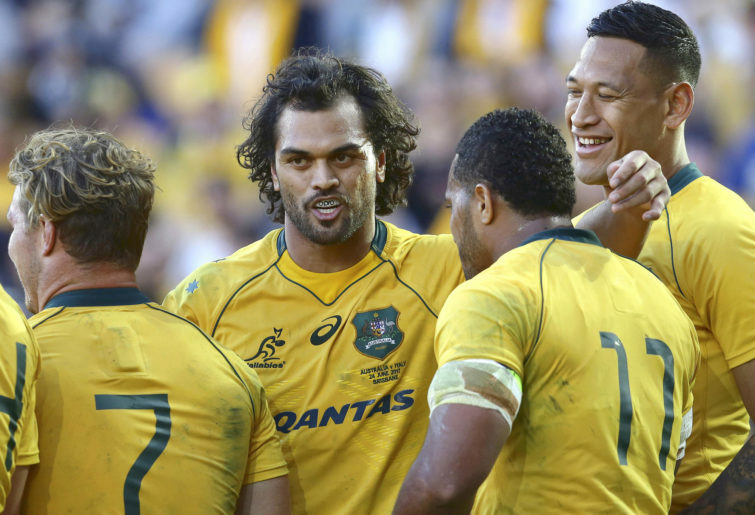 That set-up could give the Wallabies the balance that they need and play to all their strengths. It will be interesting to see if Cheika gets Hunt and Kerevi together for next internationals. Of course, it’s not surprising that teams without their stars are less successful and it was obvious to see this weekend – just check out the Crusaders performance without four All Blacks. However, there are two points to consider here. Firstly, teams have got to find ways where missing talent has less of a detrimental impact. Whether those players are absent because of guidelines from the international set-up or because of a simple injury, teams are going to find themselves without their top talent at times. But they need to ensure that their game plans are able to adjust and still be effective. Secondly, it is concerning to see some teams rely so heavily on just one player. The Rebels didn’t have Will Genia this week and it really, really showed. The Melbourne side are full of talent but this week highlighted how reliant they are on their general at No.9 and without him they are a very different side. The coaches that are able to manage key player absences and ensure that the rest of the team can execute an effective whole team game plan are going to be the ones that will see success this year and it’ll be interesting to see how the likes of the Rebels cope as the season progresses if their top talent isn’t available. There have been a lot of good articles already written on The Roar about this week’s decision from SANZAAR to cut the Sunwolves from the competition after 2020. There are lots of angles on the story and there are many fans and pundits alike who are annoyed and frustrated by this latest decision from SANZAAR. What is also interesting is how this situation fits within the broader context of how rugby around the world is changing at the moment. The Six Nations is being offered a lot of money from a private equity firm. World Rugby are talking about restructuring the international calendar and are dangling over $9 billion in front of national unions to tempt them into saying yes. With this level of funding floating around the game and changes at both international and domestic level, every national union has got to be clear on their own strategy and goals to ensure that they position themselves to succeed over the coming years. One interesting point made about the switch to 14 teams in Super Rugby and the round-robin nature is that it could make it difficult for teams to generate the revenue they need to hold on to top players. The round robin is exciting. Fewer home games is troubling. While Super Rugby considers the impact of these moves, European clubs are getting richer and richer and are happy to tempt Southern Hemisphere talent up north. Many complex questions to be answered. Do you feel that your national union has the right people in place to answer them well? Anyone else getting annoyed with all the back-slapping? Now, I love teams and being part of a team. The camaraderie and feeling of fighting together for something is great. However, it can go too far and there seems to be an incredible amount of back-slapping and head-tapping going on between team-mates for almost anything. Congratulating your pack team-mates when they monster a dominate opposition scrum, that’s fair enough. Back slapping everyone within three metres when one of your team drops the ball in open play? NO! Is this some sort of clever psychology that makes teams more successful? If it is then please explain, because it just looks wrong and it seems that it’s getting worse. Players are running in from their positions 20 metres away to be part of the head tapping just before a collapsed scrum is reset. This must stop!